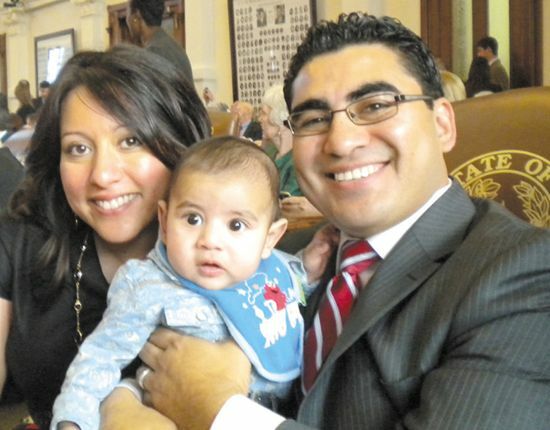 AUSTIN—Like many of his colleagues, State Rep. Armando Walle says the biggest issue facing the 82nd Texas Legislature is the state budget. According to the Texas Constitution, every two years the state must pass a balanced budget. However, Walle says that estimates are there is a $26 billion shortfall that has to be addressed. Walle said that each state agency has been asked to find between a 5 and 10% cut in their budget. But this, he said, will not be enough. With the shortfall, there has been some talk about legislators looking seriously at legalizing gambling. Walle said he would be open to the issue, but he does not hold much hope in it. “It (gambling) is a side show, a Band-Aid. The highest estimates are that it will bring in $3 to $4 billion, but that is anywhere from four to seven years down the road. During the last legislative session, a noise pollution ordinance authored by Walle passed. Walle said that he want to continue on that issue, as well as tighter enforcement on junkyards. During the previous session a junkyard bill passed the House, but stalled in the Senate. Water rates is an issue that has been facing the area for many years. “I really appreciate how much Arlene (Nichols) and Kevin (Bailey) did on the issue and I intend to continue their fight.” Bailey served as state representative prior to Walle. 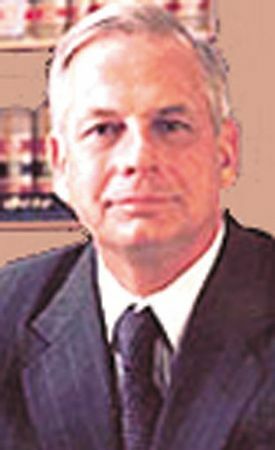 Nichols was Bailey’s legislative aid and community activist. The son of an immigrant, Walle explained that the majority of immigrants just want to find a better life for themselves and their families. He added that statistics are showing that crime in border counties on the U.S. side is actually on the decline. 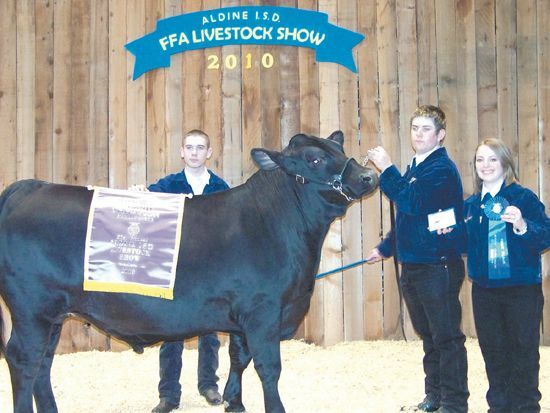 The 52nd annual Aldine ISD Livestock Show and Country Fair will be held Feb. 3-4 at the M.O. Campbell Educational Center. AISD FFA (Future Farmers of America) students will display a variety of projects, ranging from art, horticulture to animals, with hopes of earning the designation of “grand champion.” Project judging will be held Thursday, Feb. 3, beginning at 7 a.m. and concluding at 7 p.m. in the Campbell Center Arena. On Thursday and Friday, all projects will be on display to the public throughout the day. The Sale of Champions, which produced $183,000 in sales in 2010, will be held Friday evening at 7 p.m. and will also be held in the Arena. On Friday morning, the second annual Art Breakfast and Auction will be held in the foyer of the Campbell Center beginning at 7:30 a.m. AISD art students will have their art projects on display and individuals who attend the breakfast will have the opportunity to bid on the artwork. NORTHEAST HOUSTON– On Wednesday, January 12 Houston Can! Academy had a ribbing cutting ceremony at their new location in north central Houston. The 34,000 square foot campus is located at 3401 Hardy Street. This North campus location has an enrollment of approximately 415 students and has room to grow to 450 students. The facility was formerly a Yes Academy charter school campus. Texas Can! purchased the building and has spent $1.1. million in renovation and construction costs to create a state-of-the art learning environment for their students. Houston Can! Academy students typically are 14-21 years old and usually enroll in the school as former drop-outs or students who have not been successful in traditional schools. Some are parents themselves, homeless or foster children who have lived in multiple homes and attended many schools. It is also a school of choice for parents whose students thrive in smaller classrooms with a more relationship-based education. The mission of Houston Can! is to provide a second chance for at-risk youth and their families to achieve economic independence and hope for a better life. For more information, visit www.texanscan.org or call 713-659-4226. Despite some late-game heroics by former Aldine High football player Darron Thomas, the Oregon Ducks could not hold off Auburn, losing to the Tigers 22-19 in the BCS National Championship game last week. Trailing by eight points, Thomas engineered a fourth quarter drive deep into Tigers territory. Then, with 2:33 left in the game, Thomas threw a 2-yard touchdown strike to LaMichael James. Four plays earlier it looked like the Ducks were “dead in the water” as they faced a fourth down. Thomas stepped up and threw a 29-yard pass to D.J. Davis to keep the drive alive. Following the James touchdown the Ducks were still down by two points. Thomas was not done. Taking the snap, he threw the short pass to Jeff Maehl for the two-point conversion. The Tigers would have one more trick up their sleeve as the moved back down the field and, with the last second ticking off of the clock, kicked a 19-yard field goal for the win. The win was Auburn’s first national championship since 1957. It is also the fifth consecutive title for an SEC school. The last non-SEC school to win the national championship was the University of Texas in 2006. Despite the loss Thomas showed in the game why Oregon was considered the county’s most explosive offense. He completed 28 of 41 passes for 374 yards, while throwing two interceptions. After being blanked in the first quarter, the Ducks got on the scoreboard in the second quarter with a field goal. Two minutes later, the Tigers moved ahead on a touchdown. It did not take the Ducks long to regain the lead. Just a minute and two seconds after the Auburn touchdown, Thomas threw an eight-yard touchdown pass to James. This was followed by a two-point conversion. Auburn then came back with a touchdown, field goal and safety to give themselves the 19-11 lead. Oh, and by the way, the quarterback who almost won a national championship is just a sophomore who is in his first year as a starter. Thomas was not the only Aldine player to touch the football during the national championship game. 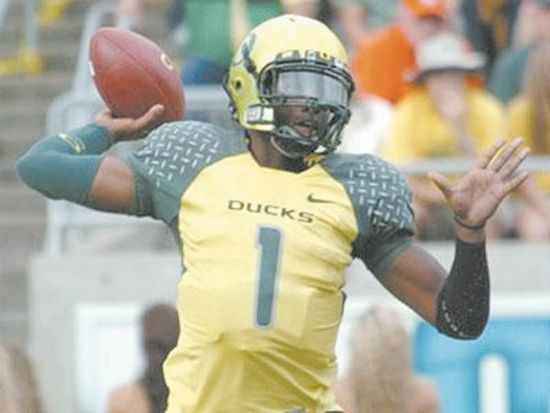 Also lining up in a Duck’s uniform was freshman Josh Huff. Huff, who played for Nimitz High, was the first player on his team to touch the ball as he fielded the opening kickoff against the Tigers. Jed’s Hardware announced the $1000 shopping spree winner from November’s Drawing. Aldine resident Bill Hammond was the lucky winner of the Jeds Hardware $1000 shopping spree contest. Hammond’s name was drawn from a pool of 1012 customers who had entered 1400 times between September and November. 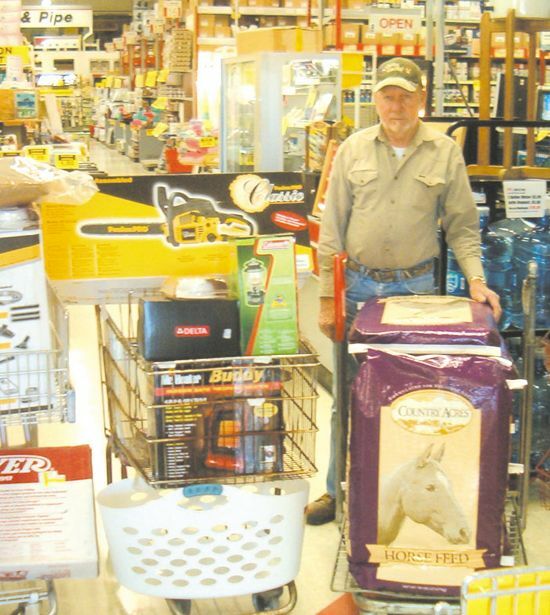 The contest, sponsored by Jed’s Hardware was run in conjunction with their fall merchandise catalog, which was distributed to 22,000 area homes in the Northeast News. It featured 130 pages showcasing 1500 home improvement items, in reality a small sampling of over 65,000 great products available either at Jed’s, or through weekly warehouse deliveries or online at www.jedshardware.com. WASHINGTON– Local Congress persons Gene Green, Ted Poe, Kevin Brady, and Congresswoman Sheila Jackson Lee were sworn in by the Speaker of the U.S. House of Representatives, John Boehner, to serve their Districts on Wednesday, Jan. 5th in Washington, DC. Lee represents the 18th District of Texas, and Green the 29th District. Congresswoman Jackson Lee was elected to serve on the powerful House Democratic Steering and Policy Committee where she will be part of the efforts to establish policy for the country. Further, Congresswoman Jackson Lee was elected Vice Chair of the vital Congressional Progressive Caucus, a group of 83 lawmakers, where she will help steer progressive efforts in the U.S. House of Representatives. During the past Congress, Congresswoman Jackson Lee served as Chairwoman of the Subcommittee on Transportation Security and Infrastructure Protection in the House Homeland Security Committee. In the 112th Congress, Congresswoman Jackson Lee will remain in leadership positions in her committee assignments as a senior member of the House Homeland Security, Judiciary and Foreign Affairs Committees. Congresswoman Jackson Lee will also serve as Co-Chair of the important Redistricting Committee on behalf of the Congressional Black Caucus, and have an important role in ensuring Redistricting in the country is done in an effective and fair manner and that the Congressional Black Caucus is well represented in those efforts. Congresswoman Jackson Lee will be working on redistricting issues for the State of Texas as well as the entire country. NORTHEAST– A grim and sad child kidnapping and murder story played out over three Northeast Houston sites, starting with a kidnapping of a 12 year old boy Christmas eve from his house at Oak Street near Shepherd Drive. According to Houston police, a family acquaintance took Jonathan Foster for reasons unknown at this time, allegedly murdered him and burned the body with a welder’s torch at her home near Laura Koppe and US59, and about 6 p.m. Christmas eve dumped his body into a drainage culvert at E. Hardy Street and Schilder Drive, near the Rolled Alloys plant. Foster had been home alone, but his mother, Angela Davis, returned about 2 p.m. Friday after receiving a strange phone call at work from a woman she did not recognize. When she arrived home, he had disappeared. 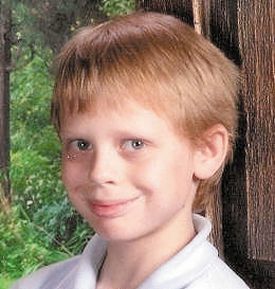 The police and Texas EquuSearch mounted an Amber Alert and search, and the body was discovered on Tuesday. Video from a surveillance camera on a nearby building showed images of Nelson’s Ford F-150 pickup truck at the scene. She was arrested Wednesday morning, and admitted upon questioning that she had been with the boy, but did not admit to murdering him. After extensive questioning of others involved in the case, including family and friends, HPD issued a statement that Nelson “is the only suspect.” HPD Detective Mike Miller stated that evidence was found at her home. Nelson had a criminal record and had spent time in jail for various charges, according to police records.